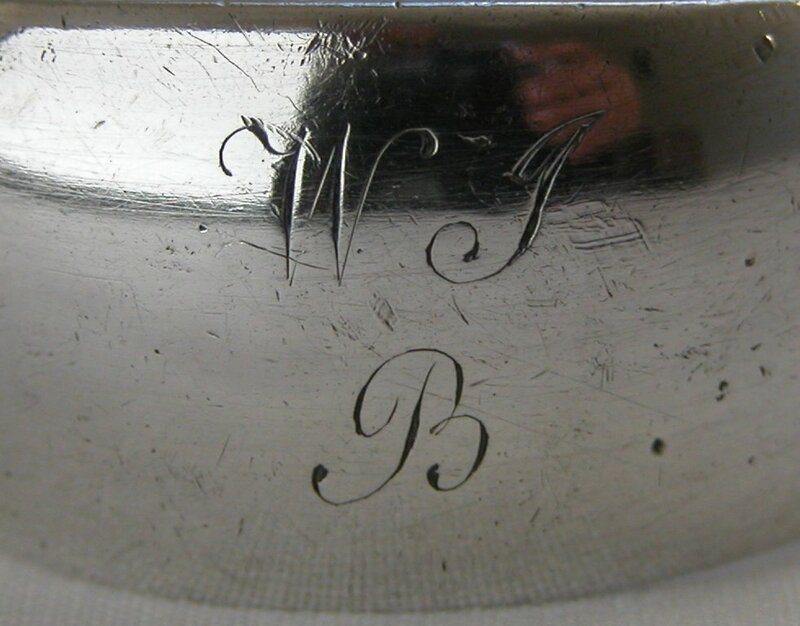 John Zeigler had a son, named William Zeigler (II) who was John Zeigler's apprentice in 1812. In summary, this means that we have two Alexander Zeiglers, two William Zeiglers and one John Zeigler. Tongs by Alexander Zeigler are the most often seen of the Zeigler family, although there are also quite a few by John Zeigler. The only real way to determine which made which is from an estimate of the date of the item. 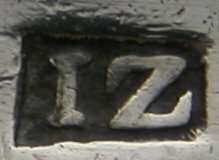 John Zeigler registered his mark in 1798. This is a pair of very plain tongs, marked right underneath the bow. I have dated them as c1800.